SEPP was created in DirectSmile Cross Media to provide an easy to use tool to configure print pieces. Users can create contacts, change contact details, search for contacts, and write to contacts. 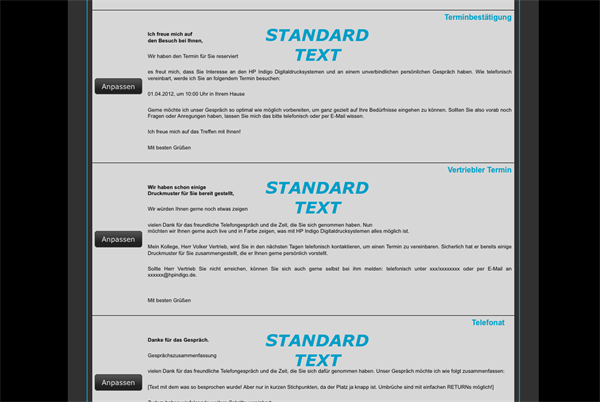 On top of that, users can create their own text collection and design it to be fast and flexible. 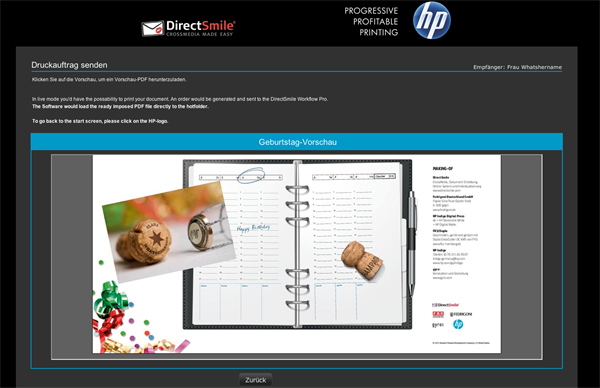 The DirectSmile Cross Media Workflow Pro enables this application to connect directly to printing presses. Print jobs are being collected, imposed, and exported to any remote location in a VDP-optimized PDF format.